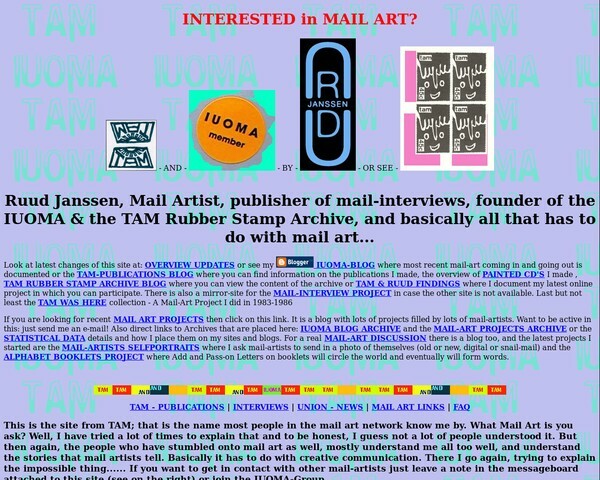 Networker since 1980 - Mail-Art via Fluxus to Digital Networks. 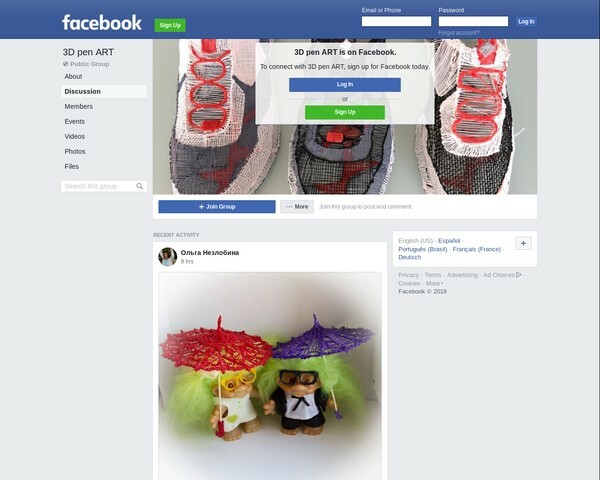 Click on one of the website links below to view my creative work. 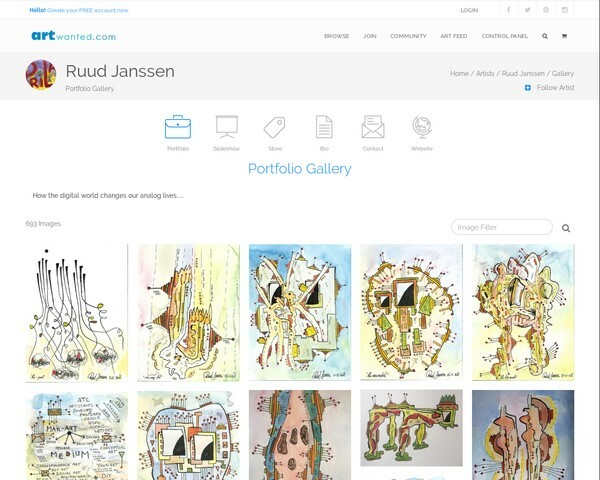 View my online portfolio. 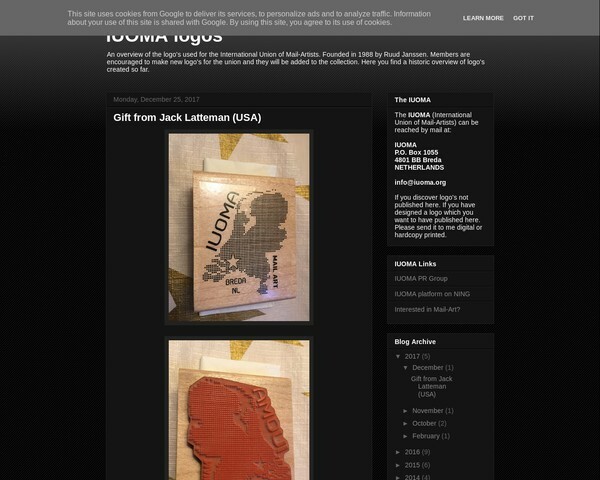 Includes Drawings, Paintings, Visual Poetry, Objects and even acrylic painted CD's. 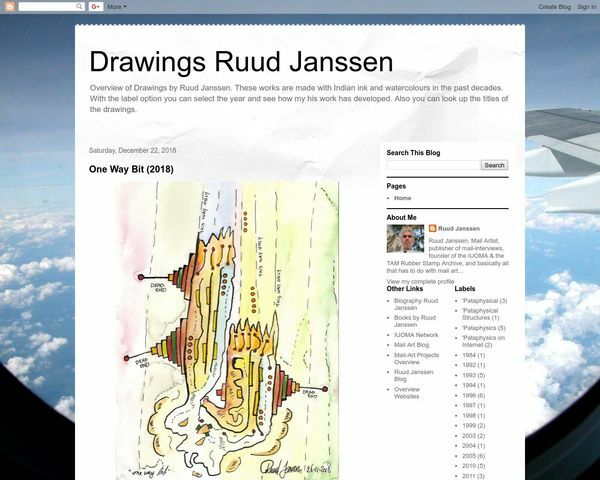 Overview of Drawings by Ruud Janssen. These works are made with Indian ink and watercolours in the past decades. 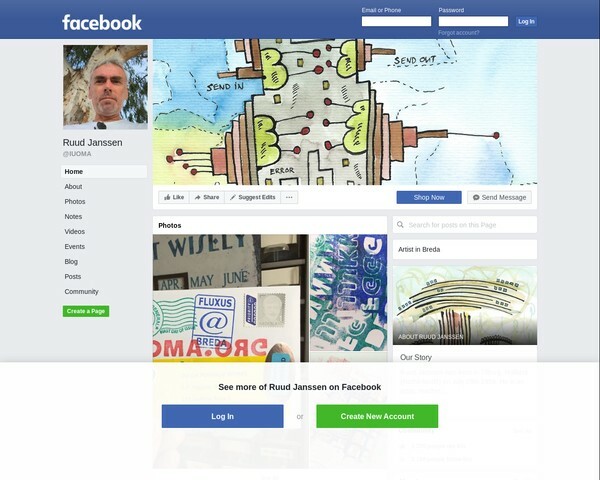 With the label option you can select the year and see how my his work has developed. Also you can look up the titles of the drawings. 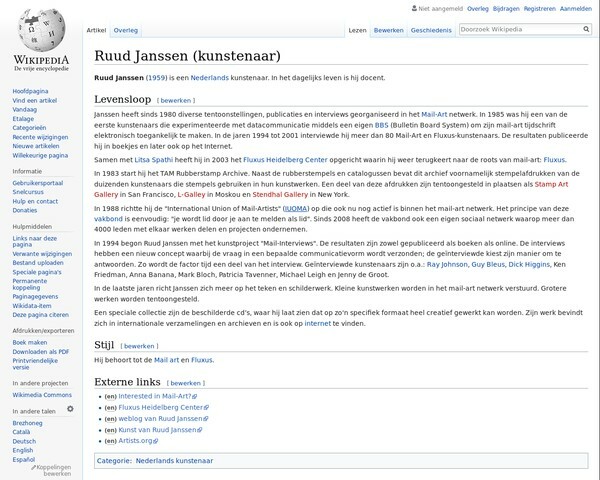 Ruud Janssen (1959) is een Nederlands kunstenaar. In het dagelijks leven is hij docent. Ruud Janssen's Bookstore. 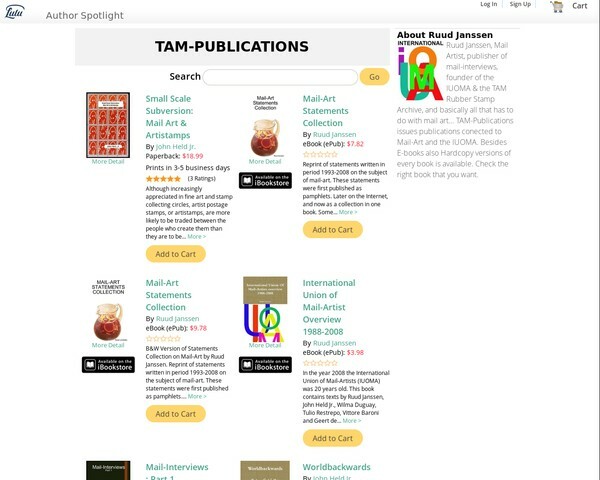 You can find hardcopy books I edited and published, but also some E-books. 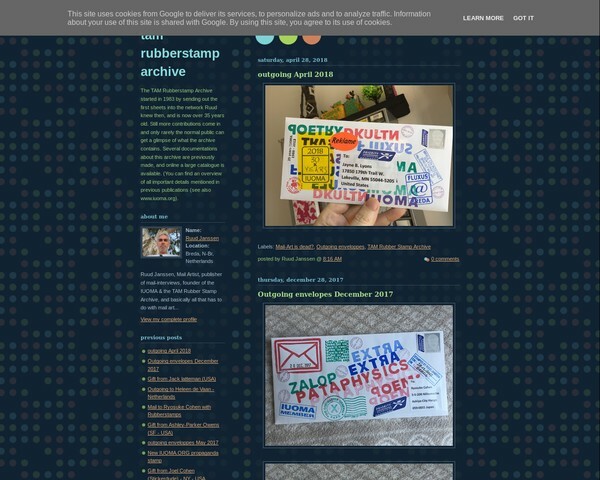 Overview of Mail-Art projects provided by the 99 authors of this blog which are all active in Mail-Art. 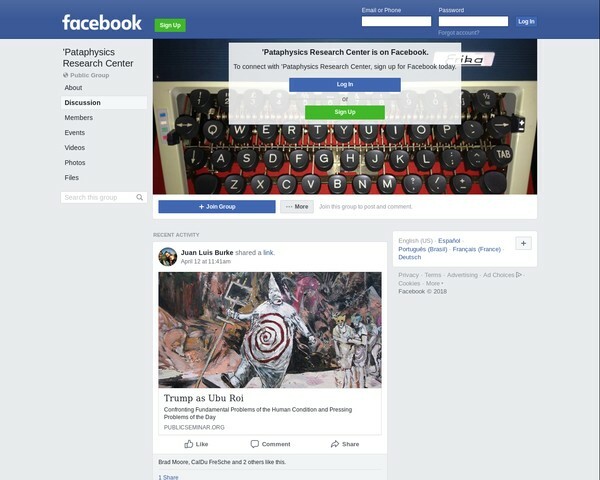 The 'Pataphysics research Center explores all sides of the 'pataphysical world and shares visuals and texts here. The TAM Rubberstamp Archive started in 1983 by sending out the first sheets into the network Ruud knew then, and is now over 34 years old. 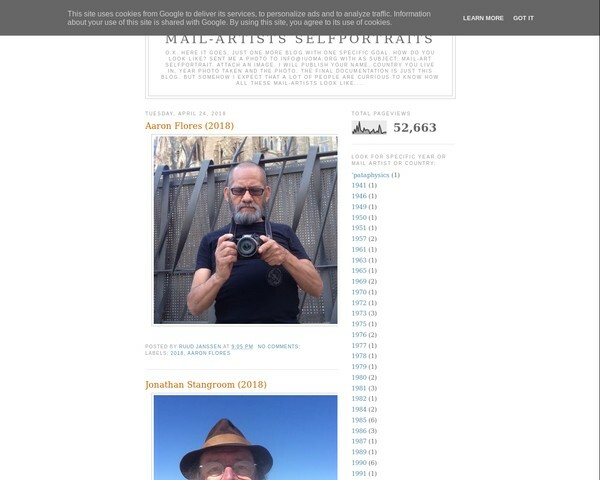 The Fluxus Heidelberg Center site is the place where all Fluxus activities of the artist-duo Fluxus Heidelberg (Litsa Spathi and Ruud Janssen) are documented. 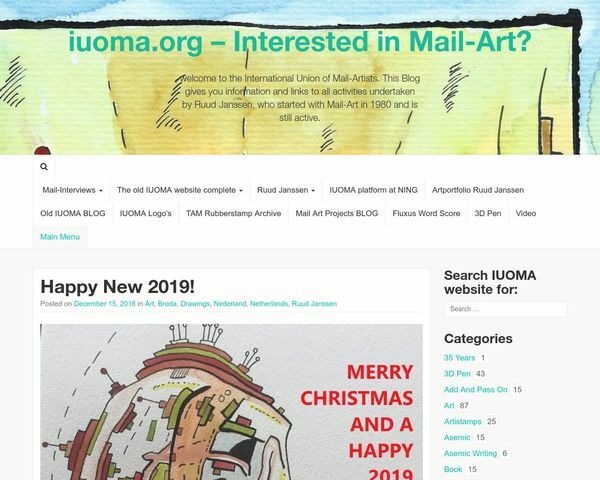 The old website from the IUOMA that was build from 1996 till 2010 is still online with the old HTML-codes and animated gifs. 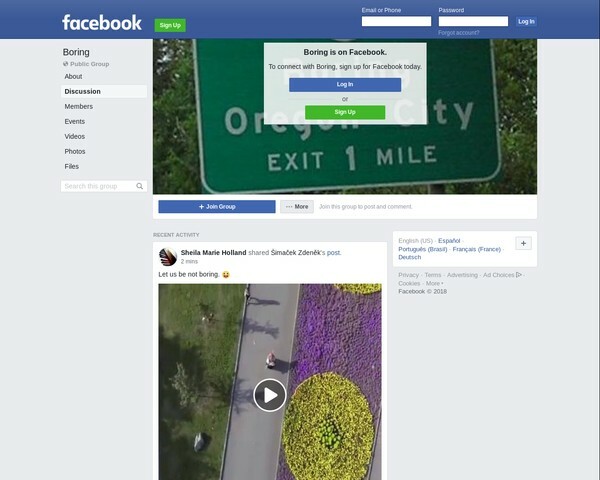 The Boring group on facebook was started as a conceptual group where artists can share what they want when they feel bored. Brings lots of interchanges between artists who otherwise wouldn't interact. 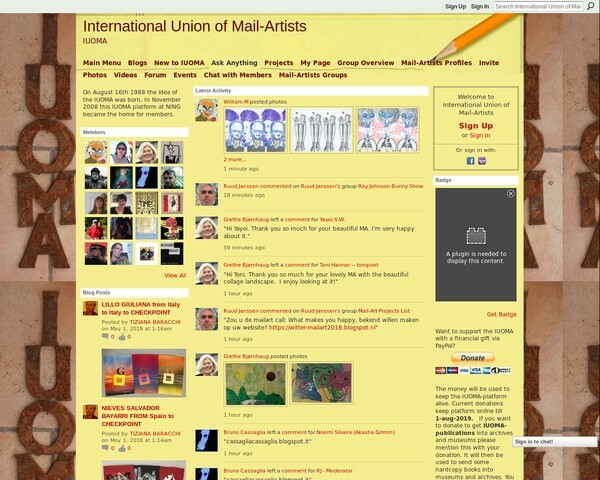 Overview of portraits made by Mail-Artists and send in to IUOMA to get published on this blog. 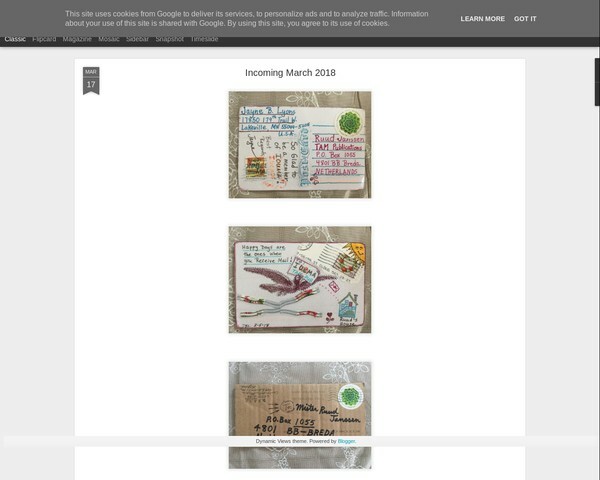 By mentioning years and names as tags, you are able to pind out how mail-artists looked like over the years. 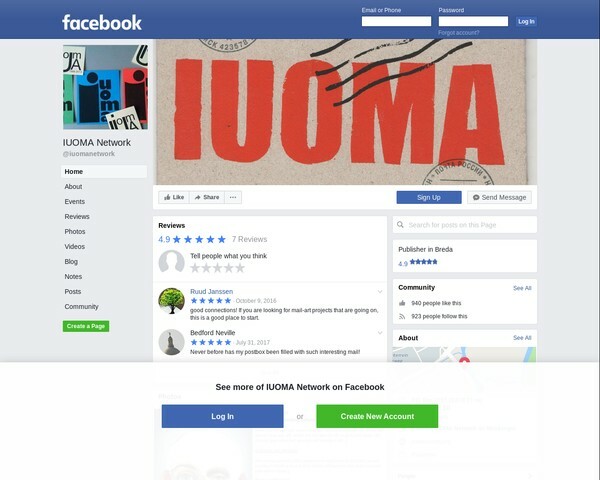 Overview of IUOMA Logo's made by members and graphic designers. 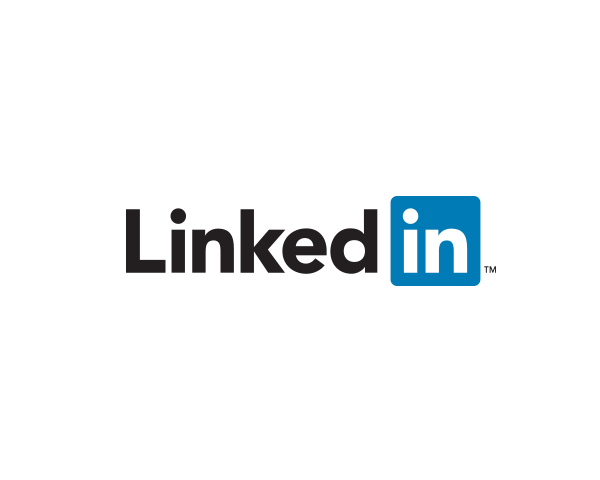 We are always looking for a new logo to represent the IUOMA. 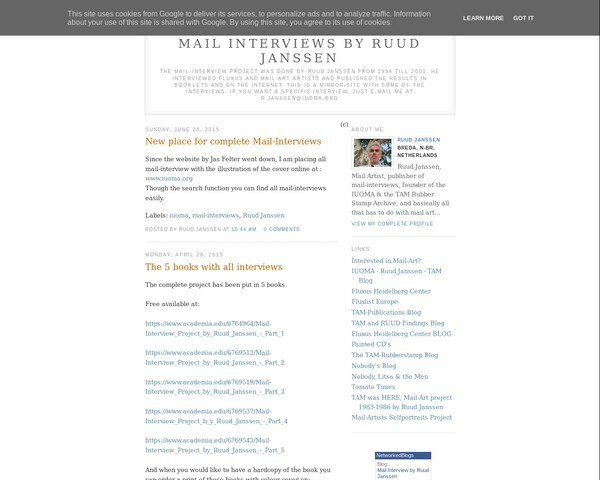 A back-up website with the Mail-Interviews done by Ruud Janssen in the years 1993-2006.